On October 29th 2018 at approximately 10:00 P.M. Dothan Police performed a traffic stop at the intersection of Hartford Hwy. and Ross Clark Circle. The vehicle stopped matched the description of a vehicle that was suspected in several vehicle break-ins in Dothan and Houston County. The vehicle break-ins occurred from October 7th thru October 21st 2018. Two of the occupants in the vehicle were identified as 19 year old Makayela Ruth Smith of Dothan and 21 Year old Joshua Patrick Yance of Dothan. During the stop officers discovered evidence from some of the vehicle break-ins in Houston County and Dothan City limits. As a result of the traffic stop Makayela Ruth Smith was arrested and charged with four counts of Unlawful Breaking and Entering a Motor Vehicle and has a bond amount of $10,000.00. Joshua Patrick Yance was also arrested and Charged with four counts of Unlawful Breaking and Entering a Motor Vehicle and also has a bond amount of $10,000.00. This case is still under investigation by the Dothan Police Department and the Houston County Sheriff’s Department. More charges are pending. The Dothan Police Department is asking for the publics help in locating Dothan resident W/M Carlton Ott. Mr. Ott is a severe dementia patient. Mr. Ott was last seen at his residence 0900 hours this morning. He is occupying a white 2014 Nissan Frontier truck, four door, with a black bed cover. If anyone has seen this vehicle or sees this vehicle please call the Dothan Police Department at 334-793-0215 or your local law enforcement agency. 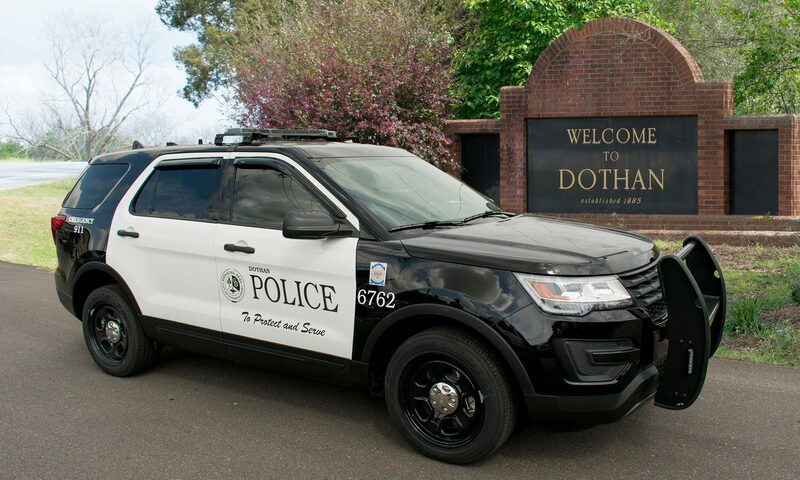 On 10/24/2018, Dothan Police responded to a residence on East Wayne Road for a report of a car burglary. Dothan Police officers and K-9 units were conducting a K9 track on East Saunders Road. During the search, a vehicle operated by Hiram Tox Pop approached from the rear at a high rate of speed almost striking the officers. Officers were able to stop the vehicle at the entrance to Coggins Trailer Park. Hiram Tox Pop was arrested and charged with three counts of Attempted Assault 1st degree. He has bonds totaling $45,000.00. Additional charges may be filed at a later date. All person are innocent until proven guilty. Approximately 2,000 customers without power. Work continues in the Garden District area, 08-25 and 08-27. Six electric crews continue work with four mutual aid crews from Riviera, Opelika, Sheffield, and Cullman. Additional support continues providing essential tree cutting efforts by the Public Works Street Department, Dothan Utilities Water and Sewer crews, and Dothan Utilities contract tree cutting crews (Asplundh). 08-25 Feeder hot and holding, continue work in 08-25 area along Choctaw, Park in Garden District to pick-up taps (lines feeding off feeder). Restored North Cherokee inside RCC (except the few service disconnects for repairs). Working on 08-27 main feeder and taps. Restored Dakota and Cherokee (partial). Continue work on 08-25 area taps. Continued work in 08-25 area taps. Restored S. Appletree, S. Lafayette, Washington, S. St. Andrews, and 600 blk Catalpa. Continue work on S. Orange. Working with crew on S. Orange. Restored Deer Run and Colony Trailer Park and working small areas. Working tap up and disconnect list. Restored Eastgate Park and Woodland. 08-27 and 08-25, inside RCC-all crews worked and will continue. Garden District area worked and will continue. Miscellaneous tree areas worked and will continue. Crews continue to work on customer transformers, service taps, and service cuts in smaller, individual areas in efforts to restore service with great effort and will continue. Several areas we are scheduling to go work. Utility damage assessments continue along with significant clearing activities the Garden District area. Six electric crews have worked diligently with four mutual aid crews from Riviera, Opelika, Sheffield, and Cullman. Additional support providing essential tree cutting include efforts include the Public Works Street Department, Dothan Utilities Water and Sewer crews, and Dothan Utilities contract tree cutting crews (Asplundh). Completed work in 04-22 area including bridge at 3rd Ave. and Haven Dr. including Oppert Rd. Start Working on 08-23 along Main Street and 08-25. 08-27-NW outside RCC, Kent Dr., Pettus St.
Service trucks continue to work on customer transformers, service taps, and service cuts in smaller, individual areas in efforts to restore service with great effort and will continue. Utility damage assessments continue along with significant clearing activities along Oppert Road and in the Garden District area. Six electric crews have worked diligently with four mutual aid crews from Riviera, Opelika, Sheffield, and Cullman. Additional support providing essential tree cutting include efforts include the Public Works Street Department, Dothan Utilities Water and Sewer crews, and Dothan Utilities contract tree cutting crews (Asplundh). Continued work in 04-22 area including bridge at 3rd Ave. and Haven Dr. including Oppert Rd. Continued work in 11-21 area including Westgate and Denton; and 11-25 area including Griffin Dr.
Service trucks continue to work on customer transformers, service taps, and service cuts in smaller, individual areas in efforts to restore service. Assessments continued around the clock with work planned for the Garden District and 08-25 inside the RCC. Tree cutting efforts continued on all shifts. Repaired several smaller outages and several customer services were cut loose. Focusing today’s efforts in the following areas: Dothan High School, TV Road, Oppert Road, Bob Hall Road, Robindale Drive, and Shady Brook Lane. Monument Sub-Completed areas on Adams, College, N. St Andrews, Lena, Montana, Chickasaw, and Range (two circuits)-major work completed. No change. Haven Sub-Completed Selma St., 6th Ave., 3rd, and S. Alice St areas-major work completed. Completed Rowland Road. Hodgesville Sub-Still working in Cloverdale area and will continue to include small areas (Scotts Nursery Road, TV Road-will complete TV next). Blackman Rd was restored. Choctaw- Major tree removal efforts continue inside circle (08-27) with additional assessment needed. There is major damage and access issues-this are will take a lot of time. 08-25 was assessed (broken poles, lines down, trees down, etc.). Work is being planned. West Carroll Sub-Completed Ivy with continued work on Cone and Fern. Stonebridge has been partially restored with additional repair needed. A large area of Fortner was restored to include Earline, Laver Hills, and Nottingham Way. Additional assessment is needed on Bob Hall Rd. and Robindale. Flynn Sub-Working on Shady Brook with the majority restored. Will continue to move towards and up 431 along Westgate. Kelly Springs School is restored. E. Dothan Sub-Completed ACOM work (except 1 customer). Also restored Webb Rd inside RCC. N. Dothan Sub-Reeves St inside circle, Denton Road inside circle and part of Headland Avenue still out. No change. Large number of small areas were worked last night. This still a big day for Dothan Utilities and Public Works-We are mobilizing major tree clearing crew efforts in Garden District along Choctaw Substation Circuits. Stay away from these crews-important! We have a very large workforce throughout City and Working to restore power to feeders-stay away from these crews-important! Monument Sub-Working areas on Adams, College, N. St Andrews, Lena, Montana, Chickasaw, and Range (two circuits)-working small areas now. Hodgesville Sub-Working Circleview and South of Wayne Rd. Will work Cloverdale next. Circleview, additional parts of Hodgesville Road, and East Saunders Road (including trailer part and Wiregrass Dr) completed. Choctaw-Continue work on RCC main lines-08-26 completed which includes everything outside Circle and along Westgate areas now-most power up. Working both sides of Montgomery Hwy and areas all the way to Napier Field Road and along Westgate to Technology Drive. Major tree removal efforts underway inside circle today (08-25 and 08-27). This will enable power restoration access and work. There is major damage and access issues-this are will take a lot of time. West Carroll Sub-Working S. Park and Taylor Road areas (Alabama Power also in area and will restore our power when they have finished) and then will move to Stonebridge next (major damage in Stonebridge area). Flynn Sub-Tree Crew working on trees on lines-431, North of Westgate-Large tree removed and road built to install pole. Persons who solicit door to door must have a city-issued business license. This is also a poly used by burglars to check and see if a resident is home before committing a burglary. To check the validity of a business license inside the city limits of Dothan please call 615-3166 during regular business hours. Unless they are the homeowner, anyone that makes repairs for others must be licensed by the city, bonded and insured. It is recommended you refuse to work with anyone who cannot prove they have these credentials. It’s not always a scam, but they must follow the business licensing laws of Dothan in order to perform these services inside the city limits. Be wary of scams and don’t pay in full for work up front. Repair services that request full payment up front before completing the work should be viewed with scrutiny. If they fail to make the repairs or do shoddy work, you’ll have the leverage of holding some of their money until they complete the job to the agreed specification. If you feel you’ve been victimized by a scam, please call the police department during regular business hours and make a report. We take scams very seriously and will not tolerate people taking advantage of folks like this. If power lines are caught in trees or debris STOP and do not attempt cleanup. City power and tree crews are working as fast as they can, but you cannot assure the lines aren’t energized by yourself. Please do not mess with downed power lines. When using power tools especially chain saws make certain you’ve read the instructions on the tool and wear appropriate personal protective equipment including ear and eye protection. When trimming branches overhead be sure and wear a head protection as well. When lifting, prevent back injury by lifting with your legs instead of just your back muscles. Muscle strains can be extremely painful especially in the back. Please do not burn refuse inside the city limits. Instead, place refuse in a pile curbside for pickup by city refuse pickup crews. Once roadways are cleared and things start getting back to normal, the city will pickup refuse on a regular schedule.